3. Place the two pieces right sides together and pin. 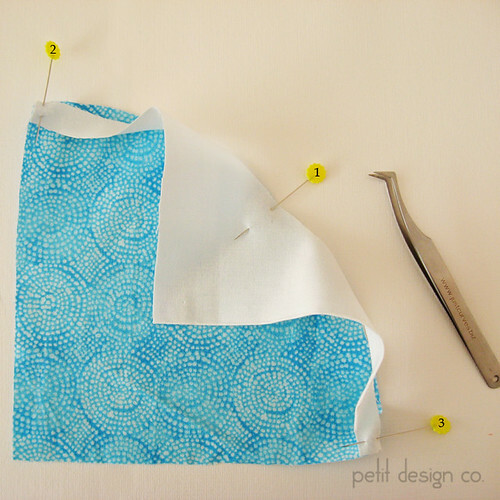 Start by placing a pin in the center first. Then pin the outer edges. 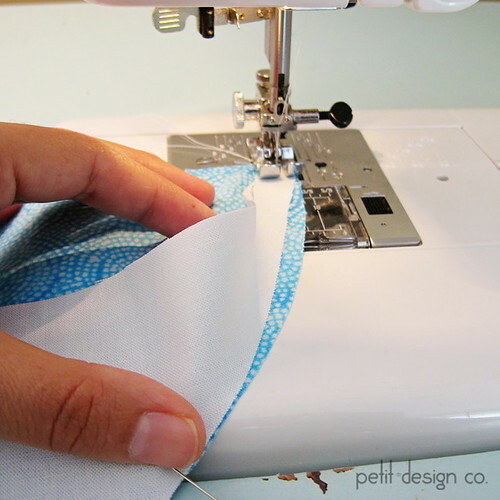 Don’t worry about the wonky-ness of the fabrics, just focus on pinning those edges nice and straight and making sure the ends meet all the way at the edge. 4. 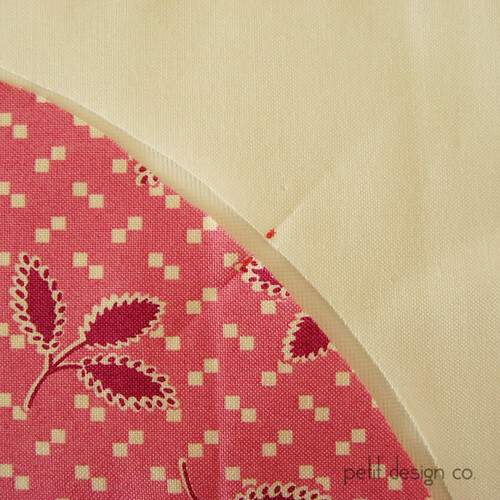 Now gently stretch and pin the fabrics between pins 1 and 2 making sure that the background fabric (white) comes up to the edge of the main fabric (pink.) repeat for the section between pins 1 and 3. 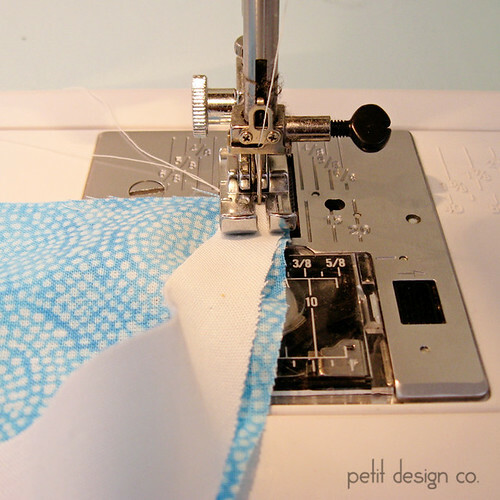 Once you are done pinning you can take the block to your machine and start stitching. 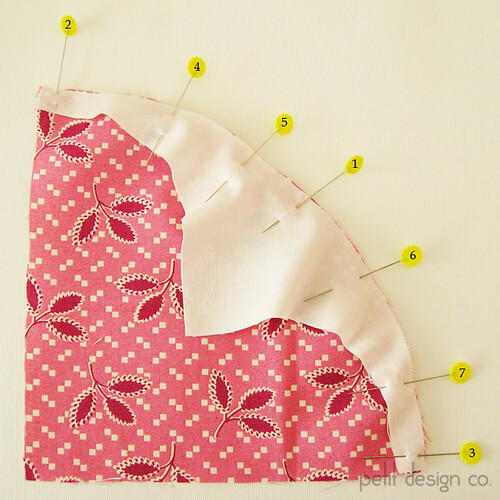 Stitch slowly and pull out the pins as you get to them. As you can see you end up using a lot of pins to keep everything in place. 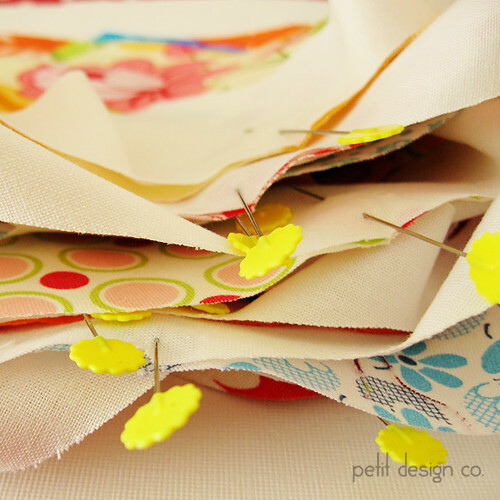 It also takes a bit of time to get each block pinned up. You can only pin a handful of blocks before you run out of pins. I can’t even tell you the number of times I got poked when I reached for the next block. After doing this for a couple of blocks I thought that there might be an easier way. I HATE pinning. One or two pins is not that pad, but 7 pins per block is a bit much! 1. Proceed through step 3 as outlined above. 2. I went ahead and pinned a whole stack of blocks until I ran out of pins. 3. Then I went to my machine. Just get the needle 1-2 stitches into the block to get started. Stop with the needle down to hold the block in place and remove the first pin. 4. 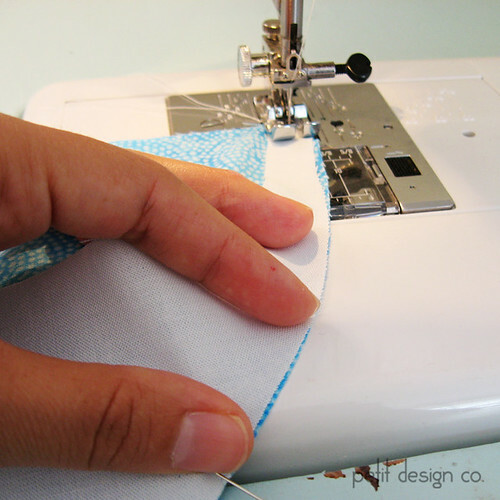 Place your thumb at the middle pin and use your thumb to lightly pull the fabric away from the needle. 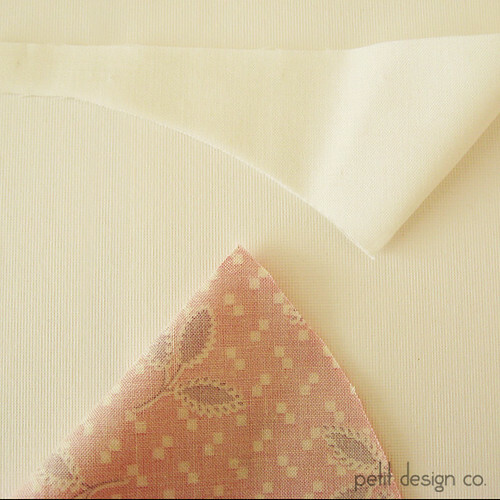 You just need to pull until the fabric is taught and no longer buckled along the edges. 6. 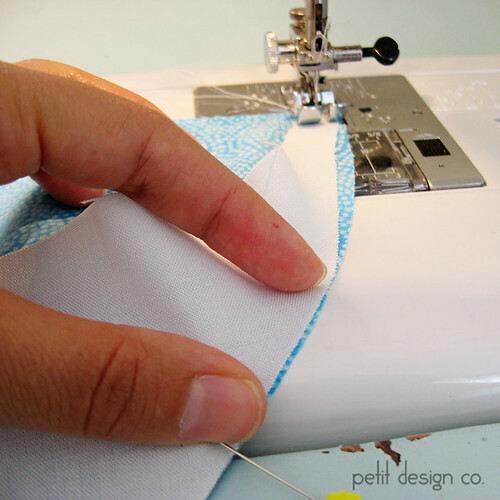 Use your index finger to hold the fabrics in place. 8. 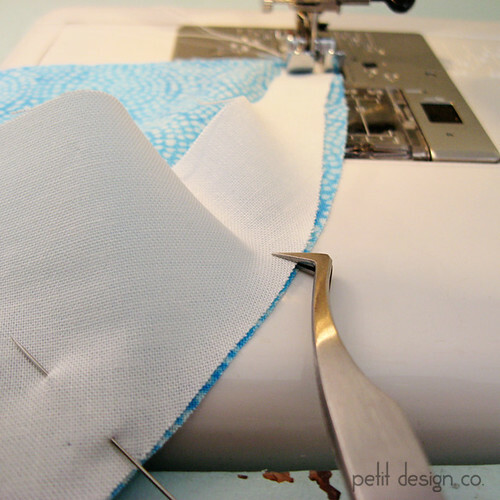 If you need to (sometimes I did and others I didn’t) use your tweezers to pull that last little bit of fabric, in front of the presser foot, over into place as you start sewing. 9. 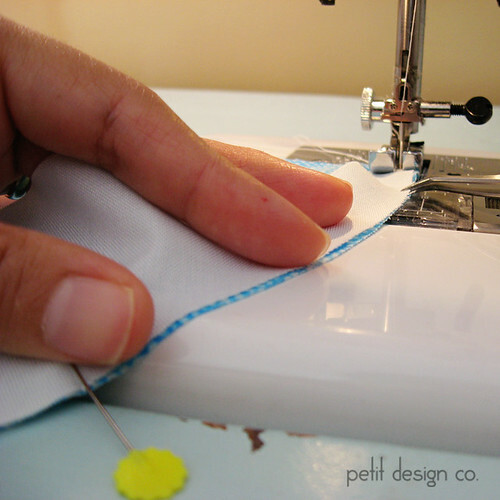 Now you just move your fingers out of the way as you sew. 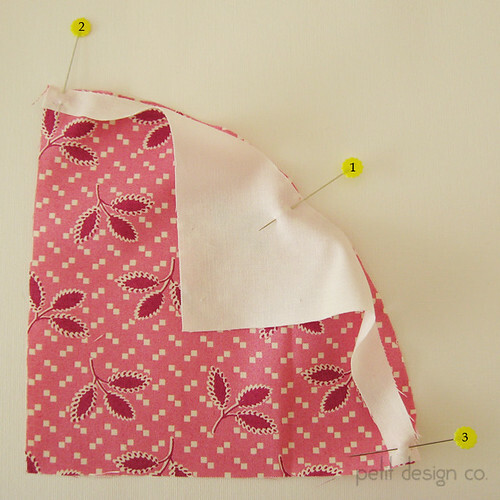 Sew all the way to the middle pin, remove the pin and repeat steps 4-8 for the other half of the block. This may seem like a lot of steps but it really does go pretty quick. It’s just a lot of steps to explain it. There is no stopping to remove pins every 10 stitches! Once I got the hang of it, it really only took 3-5 seconds to get my fingers in place. It was taking me at least 30-60 seconds to pin an entire block the traditional way. Not to mention all the pin pricks I was getting. 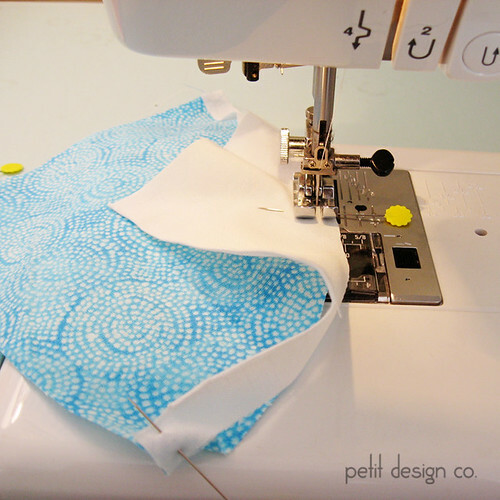 One thing that I have found in quilting is that not everything works for everyone, but it doesn’t hurt to try it out. The blocks I was piecing where large 6.5” blocks with a gentle curve. I’m not sure how well this method will work for tighter, smaller curves. Let me know how it works out for you. Thanks for the tut. I'm going to try it. Great tute Norma! I have a pair of those tweezers and I hate to pin too so will try it out. Thanks!